Like newlyweds, disputes are typically far from the minds of commercial parties at the time of brokering a deal. Excitement about the commercial possibilities typically overshadow any concerns that disputes might arise in the future. Inexperienced commercial parties often leave dispute resolution clauses to the last minute when negotiating a contract and accept without thought boilerplate provisions. However, should a dispute arise, the dispute resolution clause becomes all-important. Here are my top 5 tips on dispute resolution clauses the next time you are negotiating a new contract. There are various modes of dispute resolution that you can stipulate in your dispute resolution clauses, such as court litigation, arbitration or mediation. While parties often choose court litigation as the default option, that may not necessarily be the most suitable option. For instance, even though you may be based in Singapore, your foreign counter-party may prefer their home courts to be named in the dispute resolution clause. Rather than accepting your counter-party’s preference outright, it is worthwhile seeking quick advice on whether the courts chosen by your counterparty possess desired traits, such as efficiency and impartiality. If the courts chosen by your counterparty may not be suitable, consider proposing arbitration or mediation, where a neutral decision maker will resolve the dispute. A judgment from a court or an award from an arbitral tribunal is practically worthless if it cannot be enforced in a jurisdiction where your counter-party has assets. One must not assume that court judgments from the courts of one country are readily enforceable in another country. This is one area where arbitration is considered to have an advantage over court litigation. There are currently over 150 signatory states to the New York Convention on the Recognition and Enforcement of Foreign Arbitral Awards. Under that Convention, signatory states are generally obliged to enforce arbitral awards from another state, subject to very narrow exceptions. Seek quick advice on whether any judgment or award can be readily enforced in jurisdictions where your counter-party has assets. If parties pick arbitration in their dispute resolution clause, parties will have to stipulate in that clause whether an arbitral institution should administer the arbitration, and if so, identify the institution. Each institution has its own set of rules which provide a framework for the arbitration, and its own form of administration to assist in the arbitral process. A common misconception is that an arbitral institution can only administer arbitrations seated in the home country of that institution (described further below). That is untrue: almost all major arbitral institutions can administer arbitrations seated anywhere in the world. However, the costs and rules of arbitral institutions differ. For instance, certain institutions may require parties to pay upfront a larger amount of deposits to cover the costs of the arbitration. Seek quick advice on which arbitral institution would be most suitable for the value and type of disputes that are likely to arise under your contract. If parties pick arbitration in their dispute resolution clause, parties will also have to stipulate what is the seat of the arbitration. The seat is otherwise known as the legal place of the arbitration, and it determines the law that governs the arbitration process. The courts of that seat will exercise a supervisory function over the arbitration. Seek quick advice on selecting a seat which is known to support, rather than frustrate, the arbitral process. A common misconception is that any hearings must take place at the seat of the arbitration. That is untrue: parties are generally free to agree that the venue for a particular hearing should be held somewhere else. For instance, parties can stipulate that the seat of arbitration is Singapore, with the venue of any hearing in Kuala Lumpur. A dispute resolution clause can be “tiered” such that parties have to negotiate or mediate before a party can commence litigation or arbitration. Expressly requiring negotiation or mediation may be helpful for a party concerned that broaching the subject of a settlement could be viewed as a sign of weakness, or for parties in a long-term contract. However, a tiered clause can also delay the start — and resolution — of a dispute, especially if the requirements before commencing litigation or arbitration are ill-defined. Even if negotiation or mediation are not expressly stipulated, parties are always free to try to resolve their dispute through negotiation or mediation even after litigation or arbitration has been commenced. The Singapore International Mediation Centre has an innovative “arb-med-arb” procedure whereby a dispute is first referred to arbitration before mediation is attempted. If parties are able to settle their dispute through mediation, their mediated settlement may be recorded as a consent award. The consent award is generally accepted and enforceable as an arbitral award under the New York Convention. If parties are unable to settle their dispute through mediation, they may continue with the arbitration proceedings. One should seek quick advice on whether a tiered dispute resolution clause is necessary in your case, and if so, how it should look. Have a question on arbitration? If you would like to seek legal advice on dispute resolution for your business, you can do so by requesting a quote from Darius. Alternatively, you can consider getting a Quick Consult with one of our practicing lawyers. With Quick Consult, you can check out in minutes and for a transparent, flat fee of S$49, the lawyers will call you back on the phone within 1-2 days to answer your questions and give you legal advice. This article is written by Darius Chan from Ascendant Legal. Darius Chan is an affable, responsive and trusted business advisor who can structure cross-border investments to take advantage of Bilateral Investment Treaties, and formulate and execute cost-effective strategies to resolve commercial disputes. He also receives appointments to act as an arbitrator. 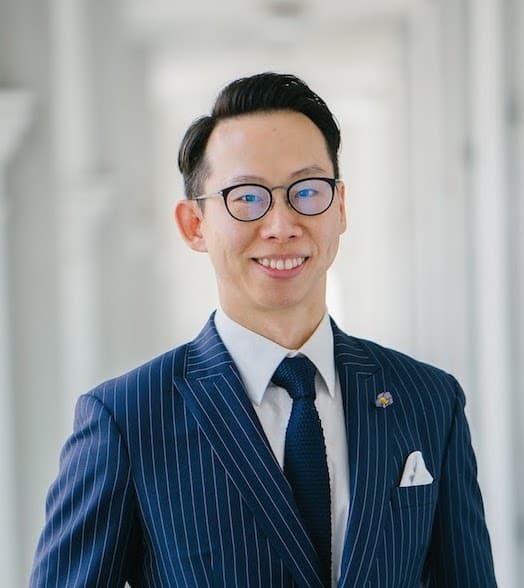 Especially well-known for international arbitration, he is the only Singaporean ranked by Who’s Who Legal‎ – Arbitration Future Leaders (2017) in a global list of 18 “Most Highly Regarded Individuals”, describing him as “a very, very smart guy and a great all-round lawyer who is building a strong reputation in the market”. Chambers Legal Global and Asia-Pacific (2017) similarly rank him as a leading individual in international arbitration, describing him as “very clever” with “collaborative, clear communication on sensitive arbitration mandates”. He is named in 2017 by Singapore Business Review as one of the most influential lawyers under 40.